Your home is your greatest investment, and finding affordable Janesville building supplies to upgrade the look and feel of your property is essential to keep your project on-schedule and on-budget. At Lakeland Building Supply we specialize in providing high-quality, wholesale doors, siding, decking, and other materials to help you get the most out of your next remodel. With top name brands and prices that can’t be beat, there’s no better choice than our Janesville building supply company to assist you with preparing for your home renovation. The kitchen is the heart of the home, and durable, stylish cabinets play a major role in how functional this space is for your family. 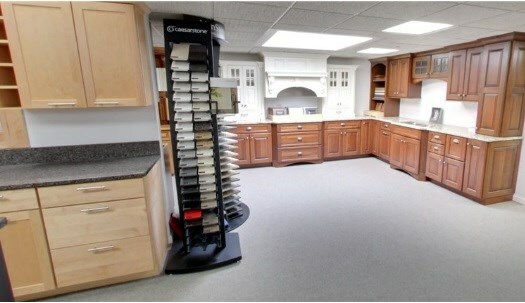 Whether you need a full-scale cabinet update or simply want to add a new cabinet for additional storage, Lakeland offers kitchen cabinets from top brands like Mid Continent Cabinetry, Dynasty Cabinets, and Top Knobsfor guaranteed quality and value. Drafty, outdated windows in the home can wreak havoc on your utility bills and the comfort of your living space. With our vast selection of beautiful replacement windows, you’ll never have to sacrifice on quality to get an affordable window price! We’re proud to work with leading brands to bring you windows guaranteed to last for a lifetime, including Milgard Windows, Kolbe Windows, Certain Teed Windows, MI Windows, and more. From beautiful sliding patio doors to secure, stylish entry doors, we have the Janesville building supplies you can count on to update the look and feel of your home’s exterior! 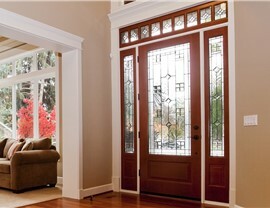 Whether you want to bring more natural light into your living area or need to increase the property value of your home, our selection of exterior doors from brands like ProVia Doors, Kolbe Doors, and Masonite Doors gives you quality and durability that you can trust. The siding on your home needs to do more than just look beautiful—it also has to be durable enough to stand up to the harshest elements! Our Janesville building supply professionals can help you find the ideal siding to update the look of your home with the high-performance features you need to get the most out of your investment. With brand name products from NextStone Siding, Hardie Siding, North Cape Siding and more, you can’t go wrong with our outstanding selection. 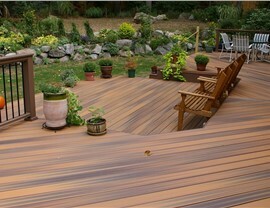 If you are ready to update your existing deck or add a brand new outdoor living space to your home, you need to head over to Lakeland Building Supply to learn more about our innovative composite decking solutions from brands like Lumberock, TimberTech, Intex Railing, and more! We offer everything from durable composite decking to stylish rails and accessories to give you a beautiful, long-lasting deck from start to finish. As the first choice for a Janesville building supply company, Lakeland goes above and beyond to provide all of our customers with top-notch materials at exceptional prices. If you’d like to learn more about the vast selection of wholesale doors, siding, decking, and other products we offer, give us a call today! You can also fill out our online form to connect with a knowledgeable team member and get set up with a free, no-obligation estimate.